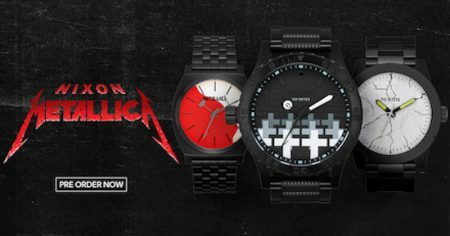 Nixon has announced a collab with a band from the 90s called Metallica on an eight watch collection that was “born of long-shared mutual respect for upstarts who buck the system and wind up changing it for good.” The watches, which will be available on November 5, 2018, feature band logos, scary crosses, lightning bolts, and even some Pushead art. If you need a wrist watch that tells time, and love throwing up those horns to the soundtrack of your youth, then this just may be your collection. Click the link for more.